Now, your store doesn’t have to be as big as the likes of Jumia Nigeria and Konga. You can set up a small store that offers only one or few products. Just so you know, there are more-than-countable online stores in Nigeria that specialize only in products like shoes, perfumes, flowers, auto spare parts, phones, you name it. And despite the fact these stores aren’t popular, they’re making money — big time. Setting up an online store isn’t as difficult as most people think. 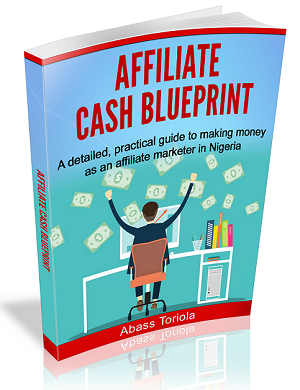 In this post, you’ll learn all the steps involved and gain access to all the basic information on set up your own online store here in Nigeria. Your first step towards setting up a successful online store in Nigeria is to decide on the products you want to sell. Now, you can’t just go for any random product that comes to your mind. There are three major conditions that any product should meet before it can even make it to your list of potential offers. Firstly, there must be good demand for the product. And if it’s a new product that isn’t popular yet, it must fill a need that is constantly felt by many people and for which there are very few or no reliable solutions yet. This is a no brainer. Only a dumb person would attempt to sell something that no one would be interested in buying. The demand (or potential) for any product isn’t difficult to figure out. Just look around you and answer the following questions for every product idea that comes to your mind. Are there many people buying this product? Are there lots of online ads for this product? Are there lots of sales for this product on Konga and Jumia Nigeria, and other popular online stores? Are there many people who would be interested in this product because it fills a significant need? Your answers to these questions will help you figure out whether there is — or will be — enough demand for the product here in Nigeria. If you cannot get convincing answers in the affirmative, it’s better to find another idea. Secondly, the product must be one that people are really comfortable buying online. Certain products don’t sell online due to different reasons. For example, grocery will not sell well online because grocery stores are available everywhere, and most people would prefer to do their grocery shopping locally rather than online. Moreover, some grocery items are bought for immediate consumption, so it’s unrealistic to buy them online since they would take days to deliver. Similarly, an online suits or wears store has relatively less chances of success because most people would prefer to visit local boutiques, where they can be sure that they are choosing the right size and quality. Buying such wears online would be a huge risk, as buyers are unable to physically check and confirm the size, colour, texture, quality, and other factors they consider when buying such items. So, you must avoid products that people are likely not to buy only for any reason. After you’ve decided on what product to sell online, your next important step is to figure out how you’ll get a constant supply of the product at wholesale or cheaper prices. It goes without saying that to make profits from your online store, you need to buy at lower prices and sell at higher prices. And the higher the margin, the more money you’ll make. So, your best bet is to find suppliers with the lowest prices (for the same good quality). Depending on the kind of products you intend selling, you can either source locally or from foreign markets. For example, products like cell phone accessories can be ridiculously cheap when you buy them directly from Chinese manufacturers on platforms like AliExpress. Products like hand-made sandals, on the other hand, tend to be cheaper when bought directly from local makers. Your domain name is your online identity. So, be sure to choose a good one. Your ideal choice is one that is short, easy to pronounce, and easy to remember. If it reflects what your online store is all about, that’s a plus. But be careful though; names like nairabelts.com (for an online belts store) can cause issues in the future if you decide to start selling additional products on your online store. If you’re already running an offline store and would like to sell the same products online, you can go with the name of your offline store, if it’s still available. But in any case, pen down at least three names, so you can have alternatives if your main choice isn’t available. In addition, it’s best to go with a .com domain name, since that’s what most people are familiar with. But if the .com extension is no longer available for your choice domain name, you can consider .com.ng or .ng extensions. For a .com domain name, you can register with Namecheap. And for a .com.ng or .ng domain name, you can register with Web4Africa or Whogohost. Chances are high that you won’t be able to handle this step on your own, so you’ll need to hire a seasoned website developer — unless you’re smart enough to figure things out yourself. There are lots of technical details about this step, but I’d rather keep everything simple and short. While there are many options to choose from, the two best and most straightforward ones available to online store owners are Shopify and WordPress. While Shopify is an all-in-one solution for setting up online stores, WordPress is a versatile open-source software package that can be used to create different types of websites. Opting for Shopify means you won’t have to worry about domain name registration, hosting, and store set-up, as everything has been included in a single package. All you have to do is visit Shopify’s website and start setting up your store right away. On the other hand, opting for WordPress means you’ll have to register your domain name and purchase a hosting plan, design your store using a good template, and integrate product pages and payment system using a good e-commerce plugin such as WooCommerce. This option requires more technical know-how than Shopify, but can be far cheaper. For Shopify, you pay more for the convenience of having everything in one place. If you’re still lost as regards the differences, look at it this way. Assume you wish to take some fried plantain. You can either go to the nearest restaurant to buy already prepared fried plantain, or go to the market to buy raw plantains and take them home to fry on your own. Remember that the latter option would require some cooking oil, salt, and other ingredients, and you have to source everything yourself. Shopify is like the restaurant option, while WordPress is like the second option. You dig? Another important factor you need to consider while at this step is your choice of payment gateway service. You’ll need one to be able to receive payments from customers, who would order from your store using their ATM cards. For Shopify, you can use Paystack, a Nigerian payment gateway provider that integrates seamlessly with the platform. 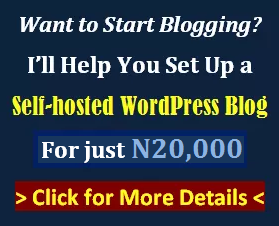 For WordPress, you can also go with Shopify or any other reliable service in Nigeria. Other options include Interswitch and E-tranzact. Note that there are fees attached to using these services. If you really want to attract attention to your products online, you need to display high-quality, clear, and beautiful pictures of them. Poor quality pictures will send the wrong signals about any product no matter how awesome that product might be. And good quality pictures, on the other hand, can help sell even the crappiest of products. (I’m not saying you should use quality pictures to deceive people into buying mediocre products; I’m only explaining the effectiveness of good quality pictures). So, when creating product images to upload to your online store, you shouldn’t use your mobile phone. I know there are smartphones with badass cameras, but what you’ll get from those can’t be compared to what you’ll get from a seasoned photographer who would use a hi-tech digital camera and photo editing tools. Alternatively, you can get some high quality images of your product from the manufacturer’s website — if they have one. Once you have the images, upload them to your store, so potential buyers can see what your product really looks like. As with any other type of website, your online store will need some content for individual product pages as well as other pages such as the “Home”, “About us”, “Contact us”, and FAQ pages. You can handle this aspect yourself if you’re a very good writer. But if you’re in doubt over the quality of your writing, hire a seasoned writer to craft all the content you need. Poorly written content will create bad impressions about your online store. So, don’t ever compromise on the quality of your content. Your home page should display some basic information about your store, products, contact details, and links to other pages on your website. Your about page should tell a brief story of your business, and yourself — if you wish. And your FAQ page will answer questions that potential customers are likely to ask about your online store, such as your refund policy, how long it takes to deliver your products to buyers, and so on. 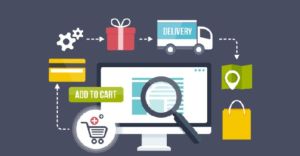 Delivery is one of the most important aspects of your online store’s operations, so you need to plan it carefully. You can either create your own in-house delivery system or use a third-party delivery service. If your store is targeted at customers within a small geographical location, such as a state or city, you can have your own in-house delivery system. This would involve delivering orders with your own personal car, a newly bought vehicle dedicated for deliveries, or a hired vehicle. But if you’re targeting a larger geographical location or cannot afford to set up an in-house system, you’d need to go with a reputable third-party delivery service. Examples of such services include KOS (Konga Online Shipping), Courier Plus, and Fedex. Some of these services accept pay-on-delivery payments on your behalf, while others do not. So, be sure to weigh your options and seek other people’s opinion before making a choice. It makes zero sense when customers have issues with one or more aspects of your website. It creates a negative first impression, which will make you lose some customers forever. To avoid this, you need to test your website like crazy before launching your store. Check that all links redirect to the right pages. Check that all payments are perfectly processed. Check that your delivery system is ever-ready. And check that visitor flow and user experience on your website is flawlessly smooth. Note that this step isn’t one you can cover on your own. You’ll have to involve your website developer. And you’ll have to ask as many people to possible to test out the store, and give you feedback. Be sure to fix all glitches discovered during the testing phase. And once you’re sure there are no glitches or issues, you can go ahead to launch your online store. With everything all set, your website is ready to start getting orders from customers. But remember that no customer will come unless you actively promote your store. So, you need to promote your store on online platforms that are often used by your target customers. For example, if you’re selling electric breast pumps for nursing mothers, your online promotion efforts should be concentrated on Facebook groups for nursing and expectant mothers in Nigeria, relevant sections of online forums like Nairaland, Nigerian motherhood and parenting blogs, and so on. While you can promote your store on some of these channels without paying a dime, you’ll need to pay to leverage more effective channels like Facebook ads and Google Adwords. 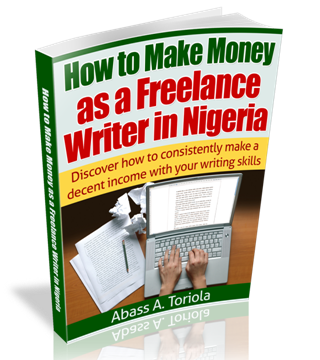 Setting up an online store is one of the quickest ways to make money online in Nigeria because you can start making money as soon as you launch your website. 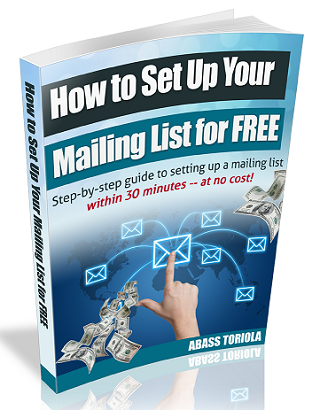 If you can’t be patient enough with options like affiliate marketing, information marketing, and blogging for ad revenue (Adsense), this is one option you might want to consider. Now, that you’ve learned the steps involved in setting up an online store, let me know if you have any questions, contributions, or other thoughts.